Description Help Prudence and Cooper run Papa's Pancakeria! 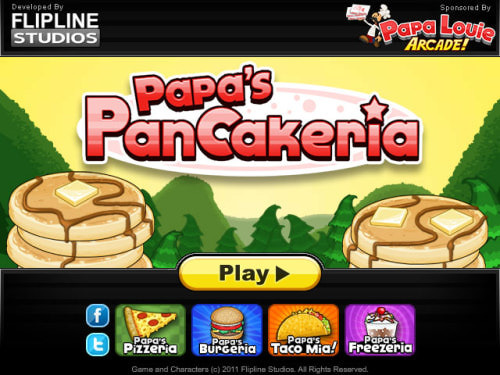 You'll need to cook and stack pancakes, french toast, and waffles in Papa's latest time-management game. The hands-on gameplay of the series returns, with new challenges related to stacking, arranging toppings and pouring syrup.